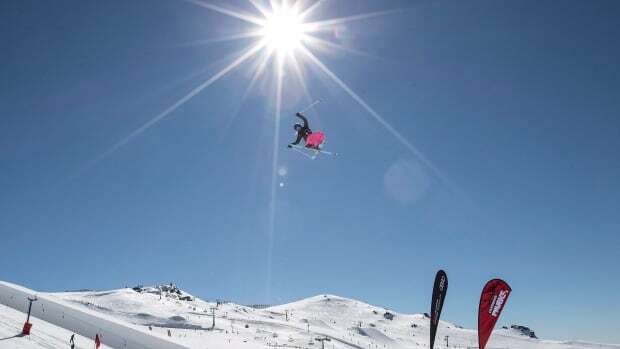 Elena Gaskell led a strong Canadian contingent with a bronze medal in the freestyle skiing big air World Cup finale in Quebec City on Saturday. Gaskell, 17, secured the crystal globe with her performance to finish at the top of the season points standings. Mathilde Gremaud reached the top of the podium with a score of 178, followed by Germany’s Kea Kuehnel with 160.50, and Gaskell of Vernon, B.C., at 158. “I didn’t get my grabs in the first two runs, so I felt some pressure at the starting gate right before my last run,” said Gaskell. Fellow Canadian Yuki Tsubota of Whistler, B.C., finished just off the podium with 156, while Megan Oldham of Parry Sound, Ont., who earned bronze at Mammoth earlier this month, grabbed fifth place with 152.75. On the men’s side, Philippe Langevin of Mont-Tremblant, Que., was the top Canadian, finishing fifth. Max Moffatt of Caledon, Ont., was sixth. Lukas Muellauer of Austria took gold, while Faban Boesch and Andri Ragettli of Switzerland earned silver and bronze, respectively.